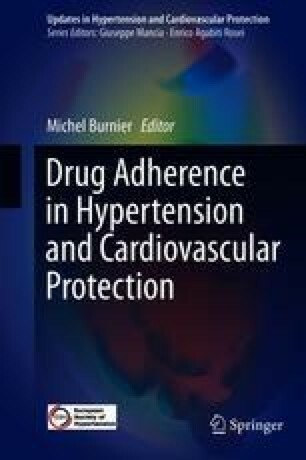 Poor adherence and undertreatment are important modifiable reasons behind “resistant” hypertension. Adherence is notoriously difficult to assess accurately. Reluctance to take preventive medication over long periods of time must be handled with respect for the individuals’ integrity and autonomy. Information procedures are important ethical issues when evaluating adherence. Pharmacy claims of prescriptions reflect persistence and may provide information on therapeutic coverage. Monitoring of pharmacy claims should be disclosed to the patient when performed at the individual level. The introduction of renal denervation (RNx) has put a focus on monitoring adherence by drug analyses in blood or urine. However, this only yields “snap shot” information on drug intake and is associated with false positives, false negatives, and uncertainties about the time windows covered. Therapeutic coverage cannot be assessed this way. These uncertainties reduce the value of biochemical monitoring. Biochemical monitoring of adherence should be preceded by informed consent unless it is performed for research purposes at the group level and with necessary ethical approval. The risk/benefit ratio of biochemical monitoring may be questioned, especially if it is performed in a clandestine manner in individual cases. Poor adherence and undertreatment are important modifiable reasons behind “resistant” hypertension. Adherence is notoriously difficult to assess accurately. Reluctance to take preventive medication over long periods of time must be handled with respect for the individuals’ integrity and autonomy. Information procedures are important ethical issues when evaluating adherence. Pharmacy claims of prescriptions reflect persistence and may provide information on therapeutic coverage. Monitoring of pharmacy claims should be disclosed to the patient when performed at the individual level. The introduction of renal denervation (RNx) has put a focus on monitoring adherence by drug analyses in blood or urine. However, this only yields “snap shot” information on drug intake and is associated with false positives, false negatives, and uncertainties about the time windows covered. Therapeutic coverage cannot be assessed this way. These uncertainties reduce the value of biochemical monitoring. Biochemical monitoring of adherence should be preceded by informed consent unless it is performed for research purposes at the group level and with necessary ethical approval. The risk/benefit ratio of biochemical monitoring may be questioned, especially if it is performed in a clandestine manner in individual cases.